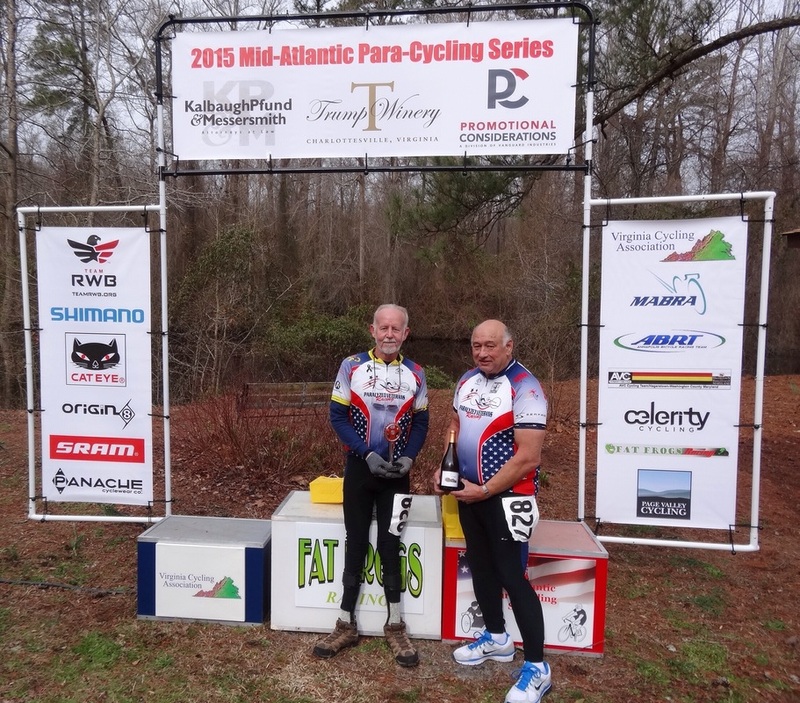 After a chilly winter the 2105 Mid-Atlantic Para-Cycling Series finally got it's start. It was a bit nippy, but the riders were eager to test their legs on the scenic and protected out and back 20 km course. Brian Wacik, after a year off, came back with a vengeance, showing his fitness and new carbon leg off to the rest of the men's physically disabled class. David Swaim, the ageless wonder, cranked out the win in handcycling, as did "growing like a weed" youngster Rebecca Rollick in the women's handcycling class. 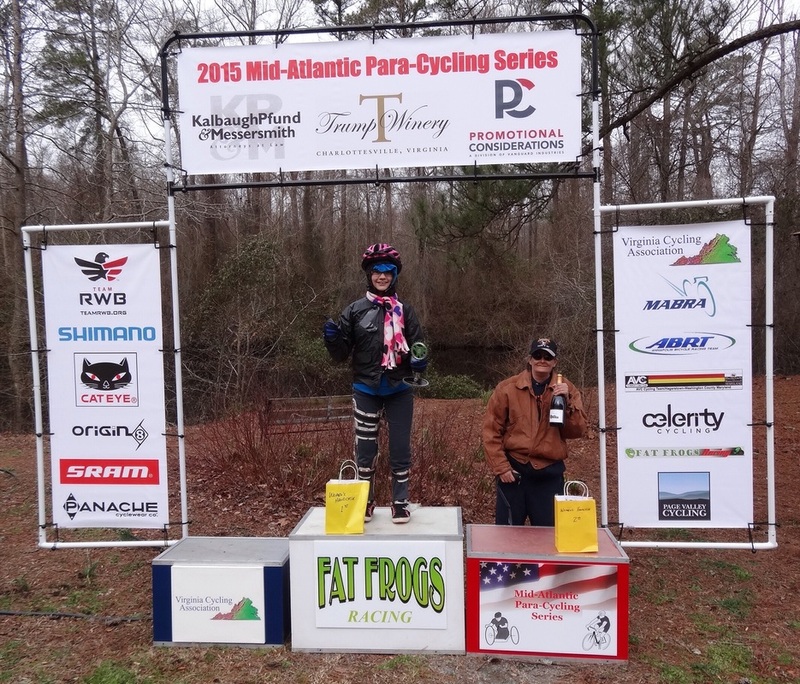 Special thanks to Glenda Craddock and her many teammates in Fat Frogs for hosting the riders, 4th year! Also, a big thanks to our sponsors, ﻿Kalbaugh Pfund & Messersmith﻿, Trump Winery and Promotional Considerations; and to our new race supporters Team Red-White-Blue, Shimano, ﻿Cateye﻿, Origin8 and Panache Cyclewear. Next stop in the series -- Church Creek Time Trial #1, 30 May 2015, the MABRA Para-Cycling Time Trial Championships. Check the registration listing on www.usacycling.org, "Find a Race", Maryland tab. If you're having problems, contact me for an assist.